Is your business or practice being targeted in a federal health care fraud investigation? If so, the federal health care fraud defense team at Oberheiden, P.C., is here to help. From acronyms to legalese, when you are facing a federal health care fraud investigation, you are likely to hear various terms with which you are unfamiliar. If you feel a bit lost, don’t worry – you are not alone. Even most lawyers who do not routinely practice in the area of federal health care fraud investigations will be unfamiliar with these terms. If your investigation is civil in nature (health care fraud investigations can either be civil or criminal), one of the types of penalties for which you are at risk is “civil assessments.” In federal health care fraud cases, civil assessments are the government’s damages (i.e., the amount of the alleged overpayment). However, in many cases, laws such as the Anti-Kickback Statute, False Claims Act, and Stark Law call for providers to pay civil assessments of three times the government’s actual losses. “Civil monetary penalties” are another type of penalty in civil health care fraud investigations. In addition to paying civil assessments, providers found liable for health care fraud can also be required to pay civil monetary penalties of anywhere from $15,000 to $50,000 per individual violation. The “Department of Justice” or “DOJ” is the federal government’s top law enforcement agency. It employs prosecutors and investigators across the country who are devoted to targeting health care providers suspected of fraud. It also houses the U.S. Attorney’s Office, which is responsible for prosecuting health care providers in criminal fraud cases. The “Drug Enforcement Administration” or “DEA” is the federal agency that is responsible for enforcing the Controlled Substances Act and the multitude of other federal drug laws and regulations that apply to drug manufacturers, physicians, pharmacists, and patients. The DEA routinely gets involved in investigations targeting registration violations, prescription drug fraud, and opioid diversion. In addition to financial penalties (and federal imprisonment in criminal cases), another penalty that is on the table in federal health care fraud investigations is “exclusion.” If an entity or individual provider is excluded from Medicare, Medicaid, or Tricare, this means that the provider is no longer eligible to provide program-reimbursed medical services. A “kickback” is a form of unlawful referral fee for Medicare, Medicaid, or Tricare-reimbursed health care services. Providers who accept compensation from other providers, pharmaceutical manufacturers, or durable medical equipment (DME) companies to which they provide referrals can face civil or criminal penalties under the Anti-Kickback Statute. The “Office of Inspector General” or “OIG” is the law enforcement division of the Department of Health and Human Services (DHHS). As such, it is responsible for investigating and prosecuting a broad range of health care fraud allegations – from overbilling Medicare for services to seeking reimbursement for diverted opioid medications. “Qui tam” is a type of federal litigation in which a U.S. citizen files a claim on behalf of the federal government. These individuals (commonly referred to as “whistleblowers”) are often disgruntled former employees or competitors, and they can receive a substantial financial award for initiating a successful claim. The requirements to initiate a qui tam lawsuit are minimal, but these lawsuits can lead to substantial headaches and potential exposure for health care providers. In addition to prohibiting kickbacks, the Anti-Kickback Statute also prohibits any and all other forms of unlawful “remuneration.” Remuneration is any form of incentive or inducement to provide a referral for program-reimbursed medical services or supplies. This includes cash, gifts, meals, travel, and other forms of monetary and non-monetary compensation. The broad prohibitions of the Anti-Kickback Statute and Stark Law are tempered by a laundry list of statutory and regulatory “safe harbor” provisions. If a transaction or relationship qualifies for safe harbor protection, then it cannot serve as the basis for a federal health care fraud investigation. A “subpoena” is a formal means for federal agents or prosecutors to obtain information during a health care fraud investigation. Authorities can subpoena witnesses or targets of federal investigations, and a subpoena can request documents, testimony, or both. There are several different types of subpoenas. However, in the context of federal health care fraud investigations, two of the most common are OIG subpoenas and grand jury subpoenas. The DOJ, DEA, and OIG are aggressively targeting health care providers in federal fraud investigations nationwide. 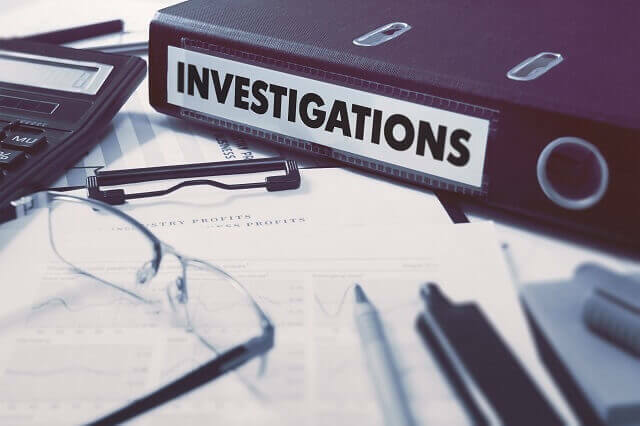 If your business or practice is under investigation, it is imperative that you engage an experienced defense team immediately. To discuss your case with defense attorney, Dr. Nick Oberheiden, leader of our firm’s health care fraud defense team, call (888) 519-4897 or request a free case assessment online now.